Tattoos have gotten more popular in recent years. Today, 29% of Americans have at least one tattoo vs. 21% only four years ago. 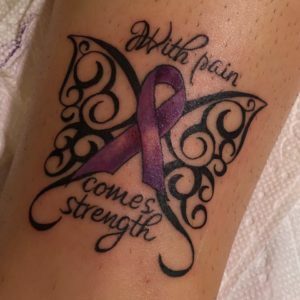 While getting ink is certainly a personal decision that is not for everyone, we love to see our community members showing their support of Fibromyalgia Awareness with fibro-themed tattoos.